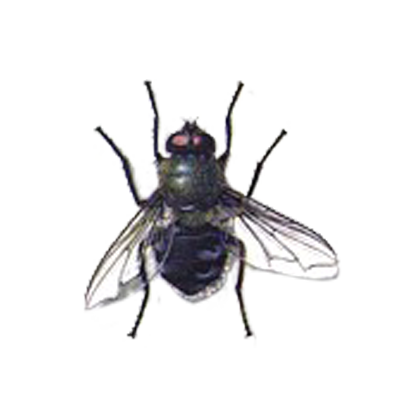 Size: 5/16” long color: non-metallic, light & dark grey abdomen In the late fall, cluster flies will fly to the sunny sides of homes and other structures in search of protected sites to over-winter. They will migrate inside through cracks and crevices and as the temperature drops they will remain in a semi-dormant state until warmed by heat from the sun. They can often be found in great numbers in wall-voids, attics and other inaccessible areas. After emerging in the spring, they are frequently found sluggishly buzzing around windows.To control these annoying pests, call our experts at 1-800-525-4825.